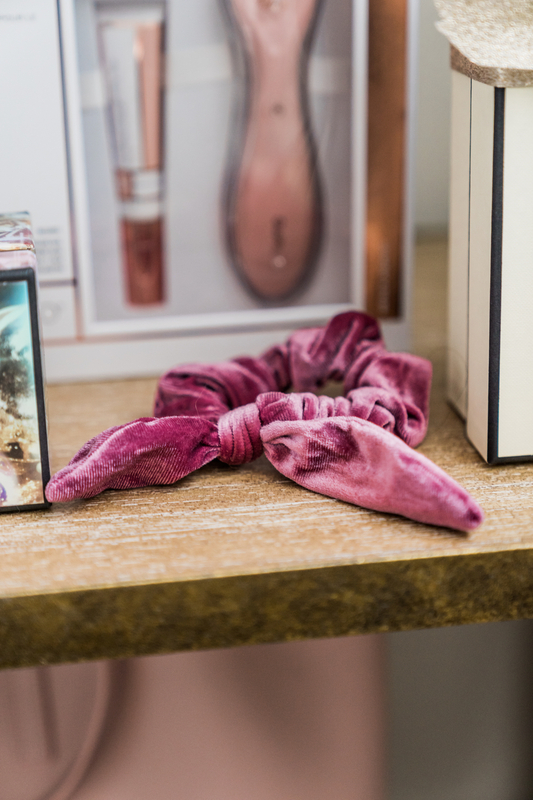 I’ve rounded up some tried and true beautiful and thoughtful gift ideas that I own and love!! Most of these I use in my daily routine! Perfect for your mom, sister, friend, co-worker OR you can send this post to your husband or loved one if they need gift ideas for you ;). Ok I’ll go one by one and explain why I love it so much! Barefoot Dreams Blanket: This is one I use daily! I bought it on the Nordstrom Sale in July and I sleep with it every night. My little babes love to steal it from me too. So so soft and so so warm! Ugg Slippers: It feels like I wear these all day every day when I’m home. 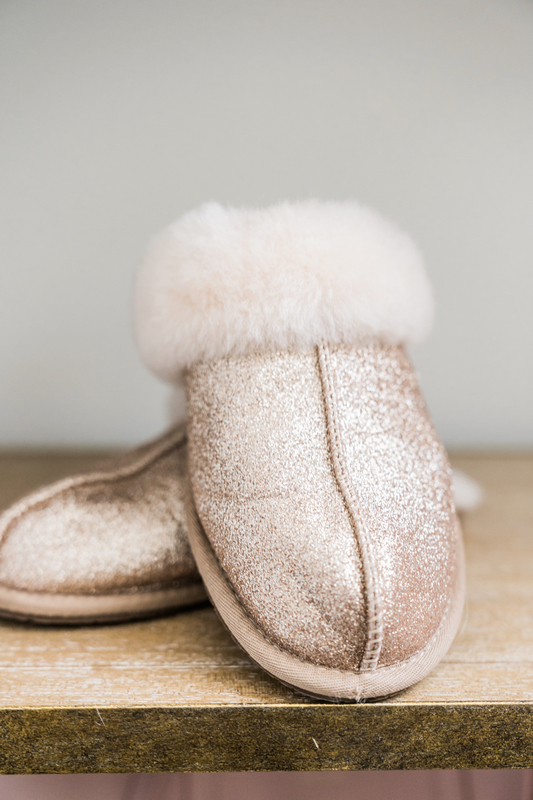 So cute, so comfy and so cozy! And I love the glitter!!! 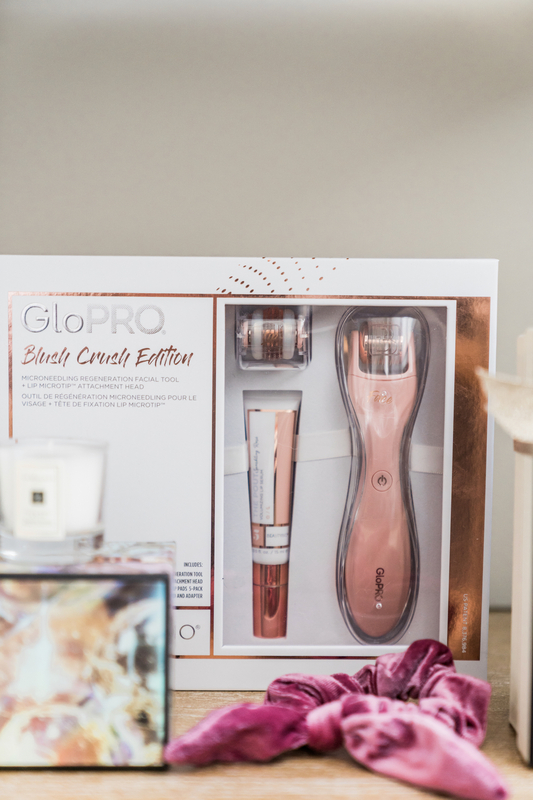 GloPro: I’ve been using the GloPro and Beauty Bio products for over a year and I’m addicted. The device is an antis-aging tool and helps the serums you have actually get into your skin to it’s job. In this gift set you get their Pout serum for your lips which I wear over my lipsticks and I also put on my lips every night before I go to bed! 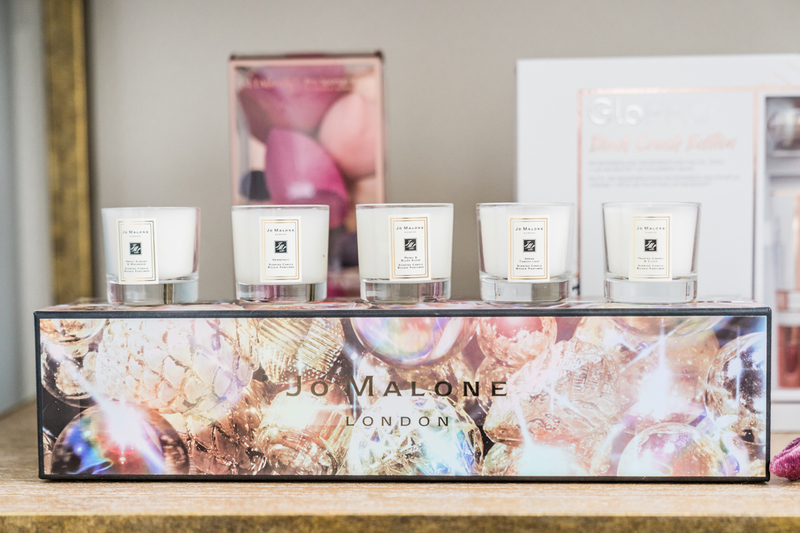 Jo Malone Candle Set: I collect candles, Drew makes fun of me because I have so many. I keep them displayed on my bathroom shelf and it’s become a little collection. I take a bath almost every night before I go to bed and I’ll choose a different candle to light for my bath. Love this holiday set and all the scents that are in the collection. Lazy Day Scrunchie: I wear my scrunchie when I’m working out, or wearing a casual look. I also sleep in my scrunchie every night. My hair is super long and if I don’t sleep in a loose low pony my hair gets super tangled. I also put them in Isla Rose’s hair a lot too! 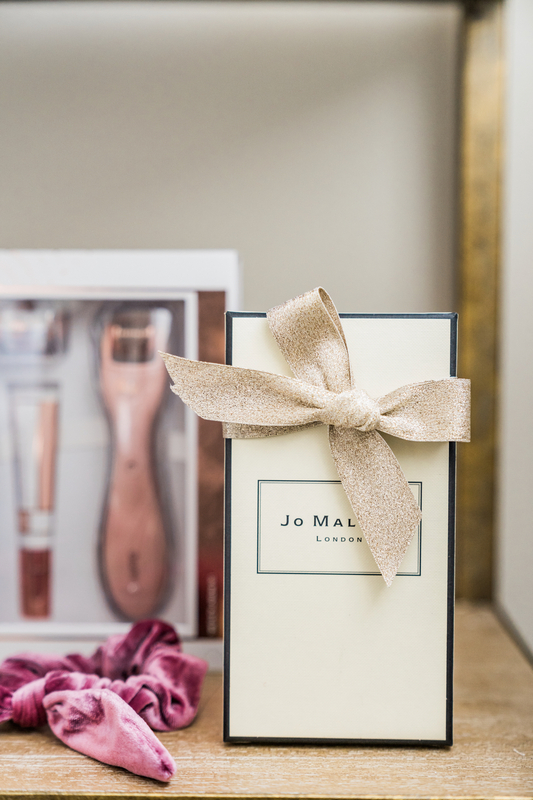 Jo Malone Fragrance: If you haven’t noticed I love Jo Malone! My favorite perfume ever is English Pear and Freesia! 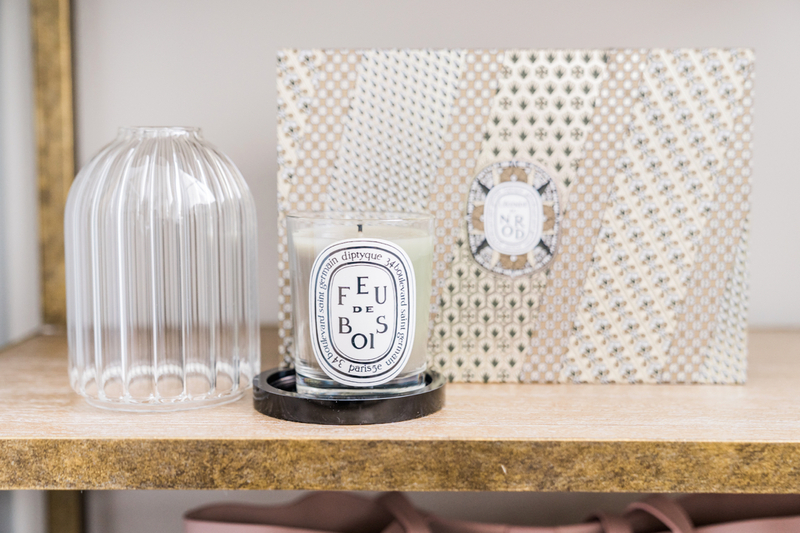 Diptyque Candle Set: Diptyque is another favorite candle brand of mine. They just barely released a covered candle set that is so beautiful, especially when it’s lit. The light prisms around the handblown glass and the scent comes out the top so it’s super strong. It’s one of my favorites! 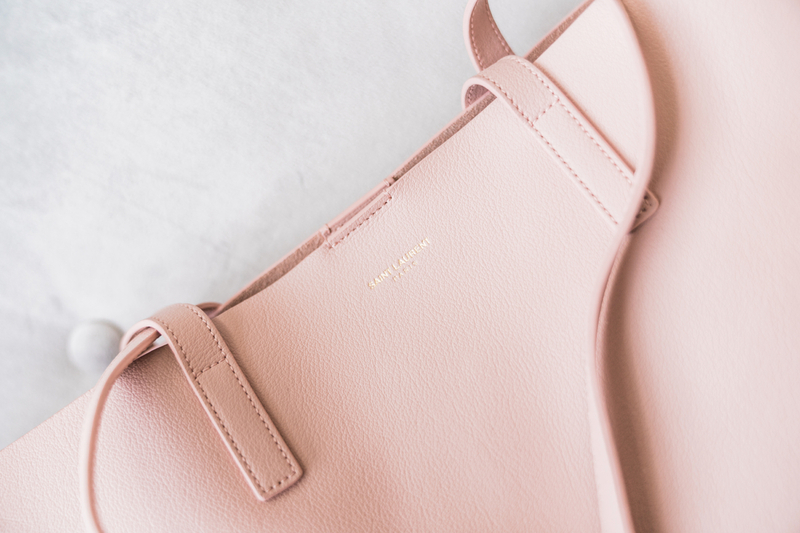 Saint Laurent Tote: I have this tote in white, I got it almost two years ago and it’s my most worn bag in the spring and summer! I just got it in blush pink on sale for spring. It’s such a great tote for everyday that isn’t too big but holds everything you need! 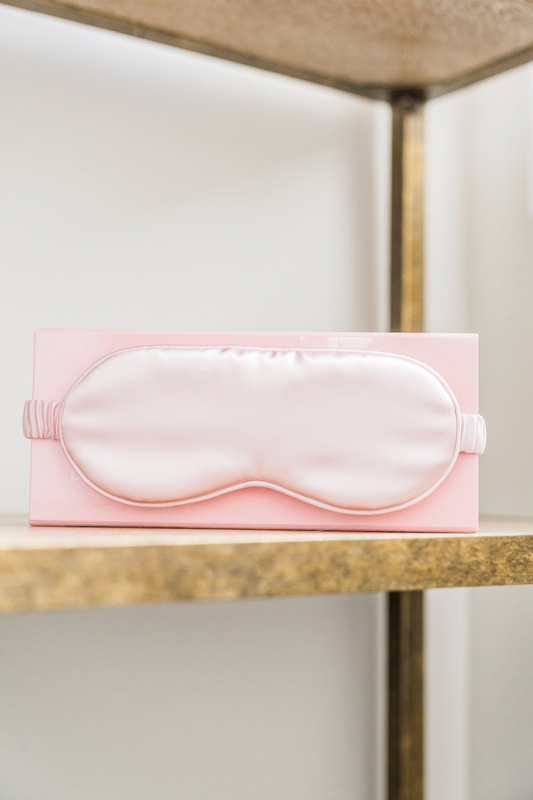 Sleep Mask: This satin sleep mask is my favorite, I bring it with me on my flights and when I travel and it helps me sleep. I can’t sleep without it when I’m traveling. 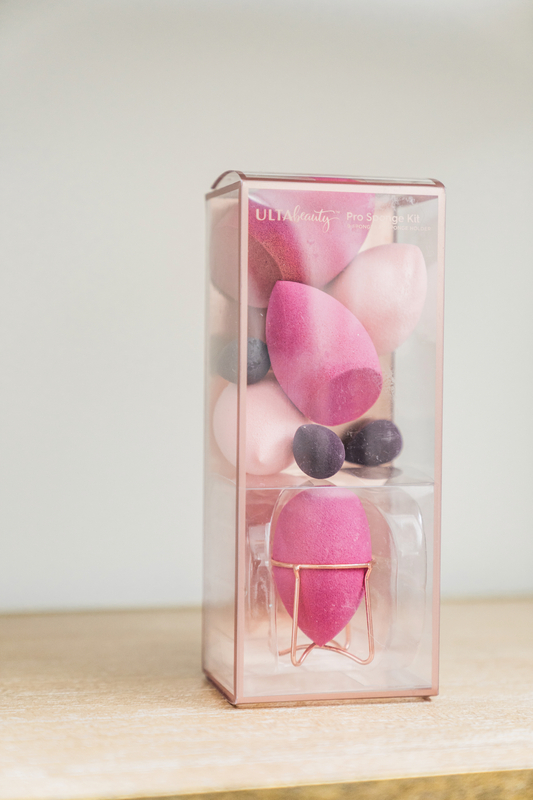 Ulta Sponges: I’m super picky about the sponges I use to put my foundation on. These ones are my favorite (they usually are orange) but I love the pink color they did in this gift set! I also go through sponges a lot so it’s nice to have a pack so you always have some on hand. Such a great list of gifts!! Lovely selections of gift ideas … love ♥️it! Joyeux Noel!! products! They look fabulous ?